Getting ready to send the Far West Adventure Game to the printer (and to the Kickstarter backers!) in the next few days. It’s been taking me longer than I’d hoped for, due to some sort of virulent plague hitting the Skarka household. Still plugging away, though! We’re asking the backers for their opinion on which character sheet to include in the book — both options will be available for download from the website, but only one will appear in the printed book itself. 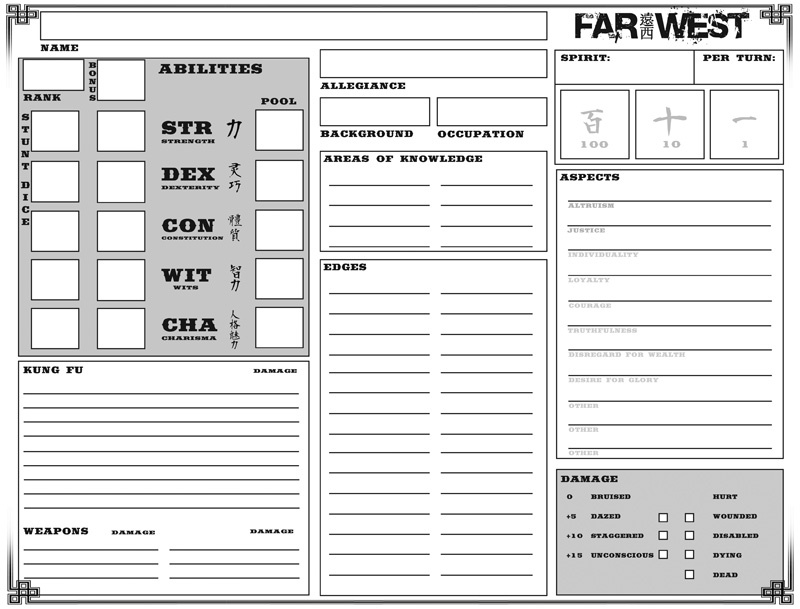 We’ll also be offering alternate character sheets (including some designed by Far West Society members) for download as well! 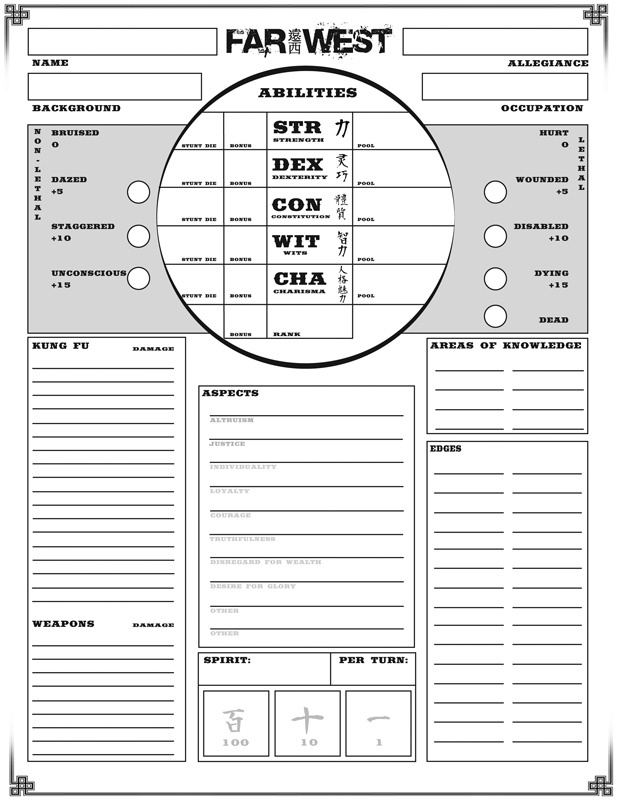 The two basic options are visible below.Click on the image below to download a copy of the character sheet in PDF. If you’re not a kickstarter backer, feel free to post comments or come to the forum for discussion! I prefer the landscape version. I think that, while the circle on the letter version might be neat if you could work in a yin-yang motif, the landscape version–you could call it the Widescreen Version–just tracks more easily as I scan it with my eyes.